Onstream Media partners with leading technology vendors, providing them with the industry’s leading media management and virtual event solutions. Powered by Onstream, our partners offer their customers reliable, scalable, and secure vertical market solutions, value-added components, and critical business consulting services for optimizing sales, marketing, and support processes. Onstream Media's services are specifically designed for the delivery of rich-media communications, which facilitates the integration of data, video, and voice to offer true media management and online communication services across multiple geographies and platforms. When partnering with Onstream Media, providers rely on our architecture to deliver the best, secure rich-media management experience their customers demand. We work with our partners to assure the success of their offering-through marketing support, sales enablement, business collaboration, and customer lifecycle management, to authorization and certification. Onstream Media Corporation (OTC: ONSM), is a leading online service provider of live and on-demand corporate audio and web communications, virtual event technology, and social media marketing. Onstream Media's innovative Digital Media Services Platform (DMSP) provides customers with cost effective tools for encoding, managing, indexing, and publishing content via the Internet. The company's MarketPlace365® solution enables publishers, associations, tradeshow promoters and entrepreneurs to rapidly and cost effectively self deploy their own online virtual marketplaces. 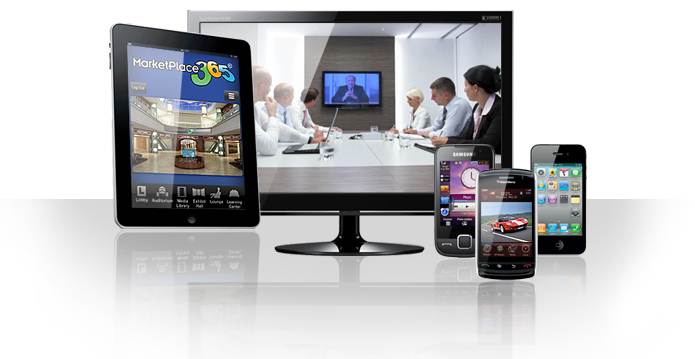 In addition, Onstream Media provides live and on-demand webcasting, webinars, web and audio conferencing services. To date, almost half of the Fortune 1000 companies and 78% of the Fortune 100 CEOs and CFOs have used Onstream Media's services. 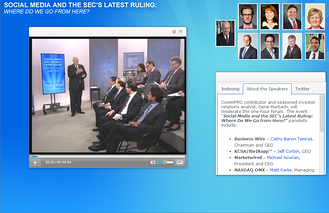 Select Onstream Media customers include AAA, Dell, Disney, Georgetown University, National Press Club, PR Newswire, Shareholder.com (NASDAQ), Sony Pictures, and the U.S. Government. Onstream Media's strategic relationships include Akamai, BT Conferencing, and Trade Show News Network (TSNN). For more information, visit Onstream Media at http://www.onstreammedia.com or call 954-917-6655.